We absolutely love hearing back from you, here are some choice reviews! We picked one “treat” activity to do while up in the Bay of Islands, and we definitely chose right! This was a wonderfully organised trip that was both relaxing and exciting at the same time. We got to see dolphins, snorkel on an isolated beach, kayak, and did a short hike. The lunch was prepared wonderfully (smoked chicken salad) and I even got to skipper the boat for a while on the way back! You can also choose to simply lay down on the boat and relax. Nick and Natalie were great hosts and very friendly. Had a very great day sailing with Nick and Natalie! They were great host aboard Vigilant, super friendly and interactive and answered every question we may have had ! They took us out to Moturoa Island to a nice quiet spot where we were able to kayak, snorkel, swim, hike and enjoy the beautiful bay of islands. They also made us a beautiful chicken salad after our island stopover. On the way back the wind was perfect for a good sailing adventure. We were also super lucky to see dolphins up close and a blue penguin ! Thanks for the perfect day in the bay ! Amazing experience and SUCH a good value for money! We HIGHLY recommend this trip. Nik and Natalie were absolutely amazing and gave us such a brilliant day! The lunch was great and was so good to have something healthy cooked up on a day trip. They provide fruit and water if you wish to take it meaning you’re not going hungry! They allow you to take the wheel for a little sailing experience as well as educate you on the boat, winds and the islands you sail amongst. Honestly, one of the best things we have done in NZ – definitely go with this company as they are a true gem! Nick and Natalie treat you like kings and you will have a day of stunning beauty in the Bay of Islands aboard their sailboat, The Vigilant. Boat is comfortable, lunch was delicious, we sailed to a remote island and kayaked, snorkeled and did some trekking. This is roughly a 6-hour trip leaving from Russell Pier. Cannot recommend more highly. Highlight of NZ – loved it! We wanted to avoid the big tourist boats full of people and this is exactly what Vigilant delivered. Nik is an absolute pleasure to spend time with – great guy, full of passion and knowledge, and as we discovered an excellent chef from a previous life. We had a super chilled day with some good sailing, snorkelling, swim, lunch on deck, dolphin and penguin spotting. And it was just Nik and one other lovely girl. What a day ! 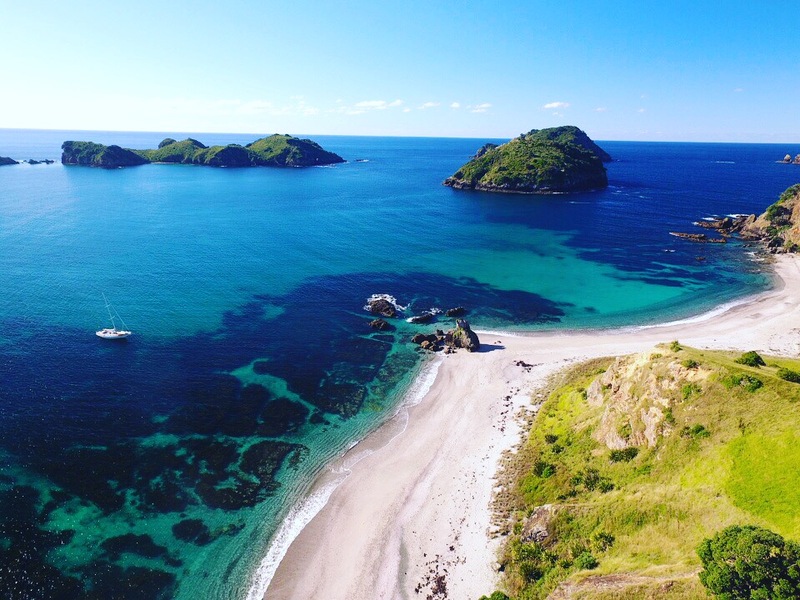 Vigilant Yacht Charters, Bay of Islands, New Zealand have 100% positive reviews on TripAdvisor, you know that you will have an amazing experience onboard Vigilant, as you explore what the Bay of Islands has to offer.